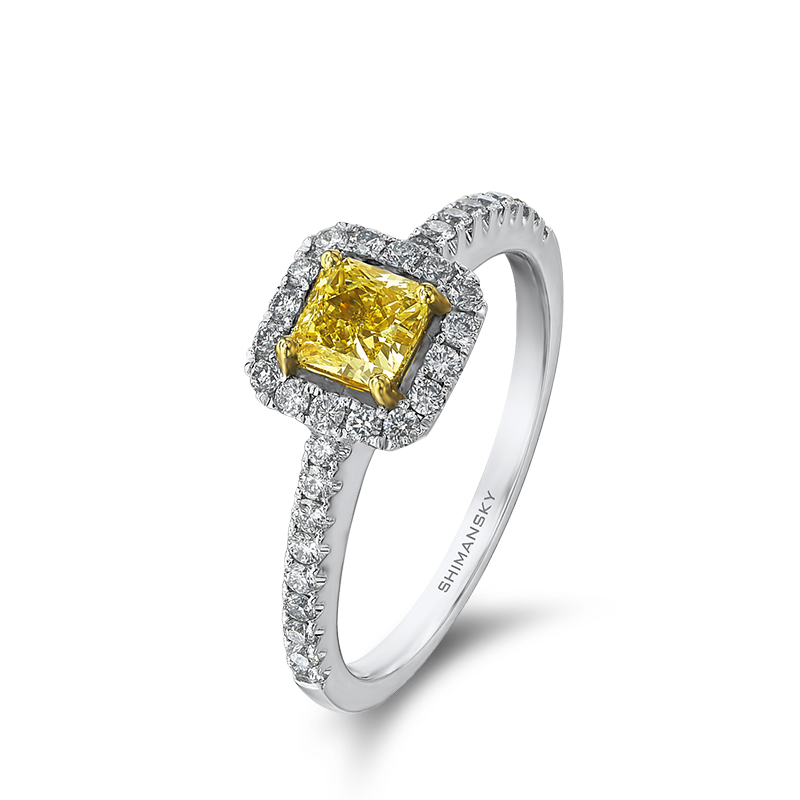 The halo design ring shown contains a 0.56ct My Girl cut Fancy Yellow diamond set in 18K yellow gold, with micro set diamonds set in 18K white gold weighing 0.35ct. Total diamond carat weight: 0.91ct. 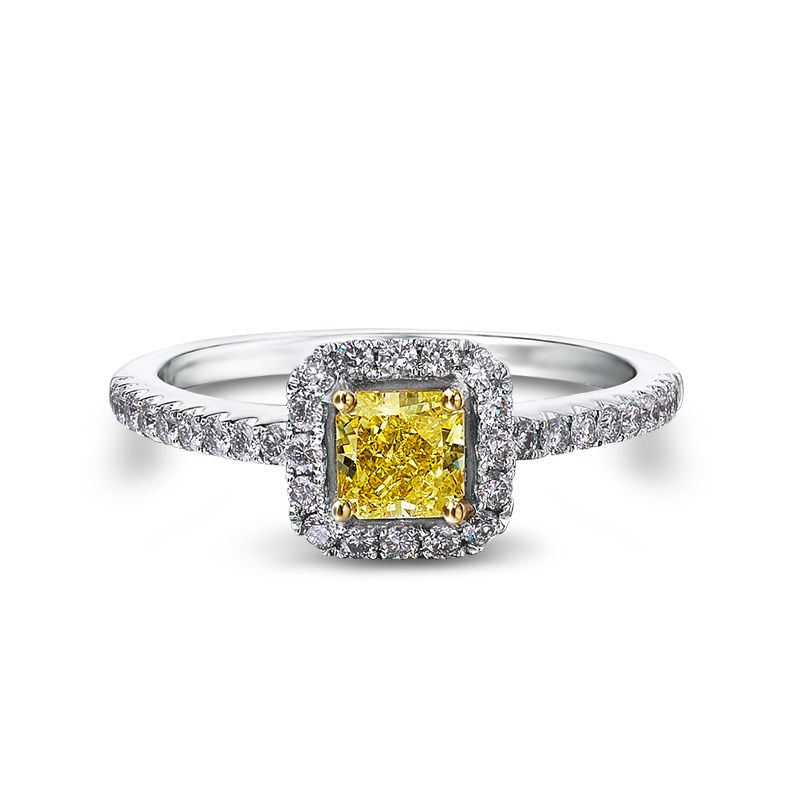 This Fancy Yellow halo micro set diamond ring is available from 0.50ct and can be manufactured in any finger size. Available in platinum, 18K white, yellow or rose Gold.